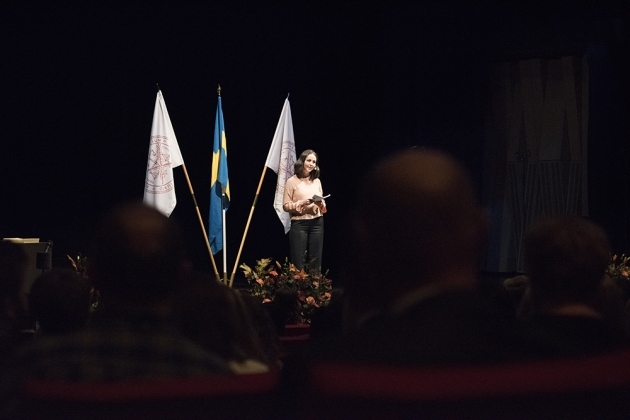 The Department of Law's newly graduated law students accepted a diploma, evidence of their completed studies, at a festive ceremony at Uppsala Konsert & Kongress on 22 October. The diploma ceremony, during which new Master of Laws graduates accept their diplomas in front of friends and family, is held twice a year. 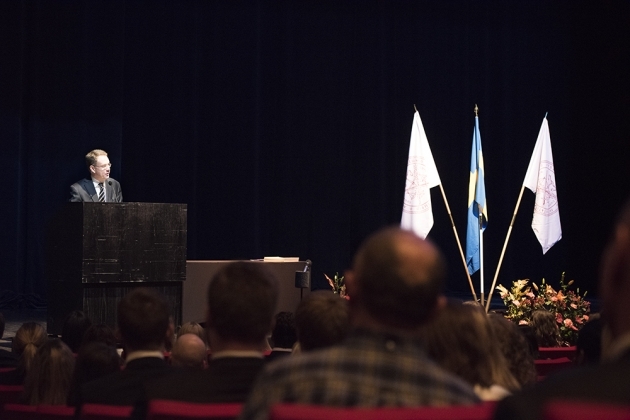 The ceremony is traditionally held in the Grand Auditorium at the University Main Building, but due to renovations, this autumn's diploma ceremony was moved to Uppsala Konsert & Kongress. 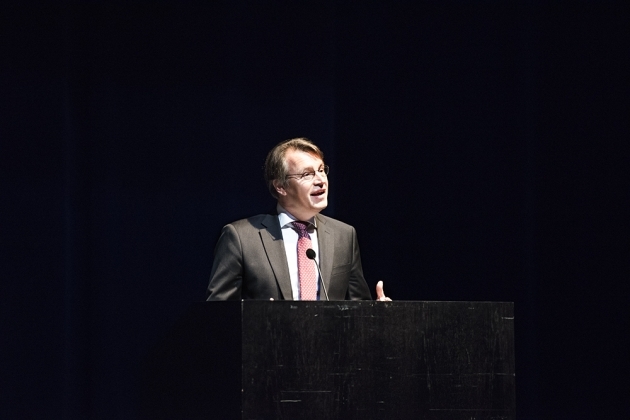 The ceremony was opened by the Dean of the Faculty of Law, Professor Mattias Dahlberg. Other speakers throughout the day's ceremonies included Justice of the Supreme Administrative Court Thomas Bull, previously a teacher at the Faculty and now an alumnus, who introduced the Uppsala Lawyers' Alumni Foundation; senior lecturer Carl Gustaf Spangenberg, who gave the Speech to the Students, and graduate Sara Larsson, who finished the ceremony with the Students' Speech. Professor Margareta Brattström, Head of the Department of Law, presented the diplomas and law student Clara Sohlberg served as master of ceremonies. The day was completed with dinner at Stockholm's Nation, arranged by the Law Students' Association.